Learn to Borrow Smart and you will increase your chances of Retiring Rich. 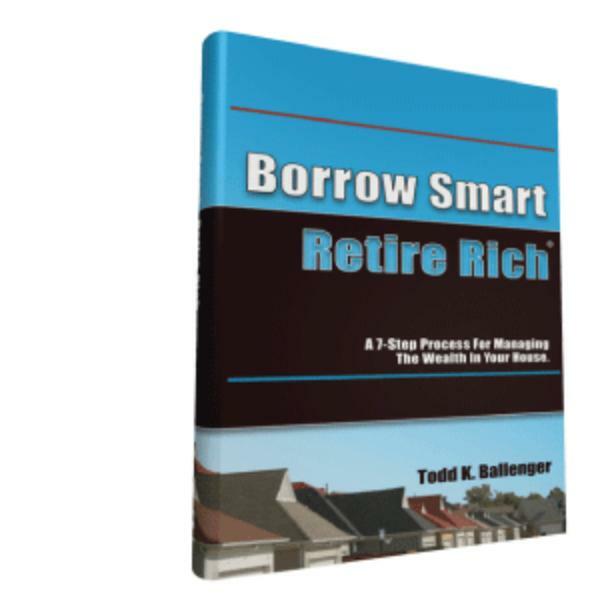 Author Todd Ballenger speaks with industry professionals on how to Borrow Smart by following a simple process. Talking about the National Professional Mortgage Loan Officer week. Reviewing borrow smart strategies around cash and liability management with a CMG HOA specialist. Learn what industry veterans are doing to build their businesses. Interview with Liability Expert and Certified Liability Advisor John Thompson. Author Todd Ballenger will chat with a Certified Liability Advisor to discuss how he's coping with the radical market changes of 2009 and beyond.